Over the years, IPL has been known for a number of things. There have been some great memories, some dark times and some really inspiring moments. However, this year's IPL has gone over the top in all aspects. We have already seen Mankading, poor umpiring, bails that wont fall, captain walking on to the field from the dugout. Its been like a commercial movie which has all ingredients. However, another thing that is happening is that IPL has become a 2-day match !!! We have seen a number of matches go past midnight and finish late. According to IPL’s playing rule, the 4 pm games have to end by 7.20pm and the 8 pm games should end by 11.20 pm. But most of the games this season has gone past this finish time. Players have also said that this affects their preparation and should be solved. The Umpires should take up the responsibility and make sure that games finish on time. There should be strict rules for this as many players have voiced out. SRH coach Tom Moody has gone on to say that penalizing captains is not the solution and that the net run rate should be deducted from teams. This page contains news relating to various facts and events. The views are generally about current affiars and general topics in diversified areas such as political, international, national, and regional issues, sports, health, travel, lifestyle, technology and business. People having similar interets on the above topics will find this page useful. 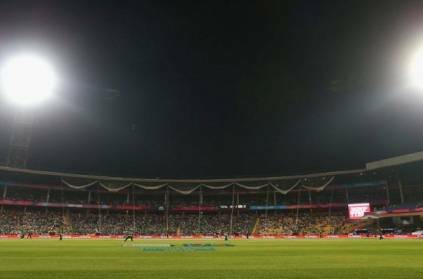 IPL games finishing late night affects players | Sports News.